British researchers report on one promising way to get more people to agree to donate their organs after death. Most of us have a woulda-shoulda-coulda list, in which we enumerate our deepest regrets. But “not signing up to be an organ donor in the event of my untimely demise” seldom makes the cut. That’s entirely understandable. 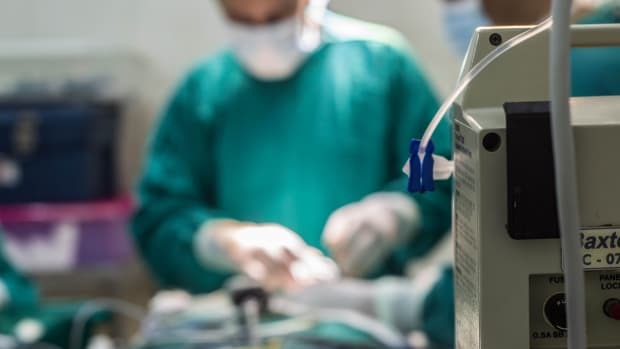 As a group of British researchers led by University of Stirling psychologist Ronan O’Carroll noted in a recently published paper, people resist considering organ donation because it brings up a variety of uncomfortable emotions. There’s the “ick factor” — our reflexive disgust at the idea of one person’s body parts being inserted into another’s anatomy — as well as the fact that considering donation means contemplating our own death. Who wants to go there? Given the urgent need for transplant organs, health policymakers are looking for a way to get around these psychological roadblocks and convince more people to sign up. Fortunately, O&apos;Carroll and his team have just published a follow-up report that presents a possible path forward. They describe a pilot study in which a simple prompt — making people aware that if they don&apos;t sign up as an organ donor, they will eventually regret their inaction — significantly increased the percentage of participants who signed up (or at least said they did). While the researchers left unspecified what precisely might prompt this later regret, the introduction of this emotion made an impact. If these results are confirmed in larger studies, it would represent “a rare example of a relatively simple health psychology intervention that could result in thousands of lives being saved,” they write in the journal Health Psychology. The researchers conducted a web-based experiment, in which the 286 participants were recruited on a social networking site, and via emails to university health psychology departments throughout the U.K. These volunteers (mean age 28) were randomly assigned to take one of three versions of an Internet survey. All were given a link to the organ donation page on the National Health Service website. They were then contacted one month later and asked if they had indeed registered as a donor. Those who had contemplated the notion of regret were significantly more likely to answer in the affirmative than those from either of the other groups. Of course, we don&apos;t know for certain how many of the participants in either study actually registered. As O’Carroll and his colleagues concede, those who reported doing so in the follow-up call may not have been telling the truth. The researchers&apos; next step will be to see whether this sort of “anticipated regret intervention” can be linked to an increase in verified registrations. Higher rates of donation could have dramatic results: 17 people in the U.S. die every day waiting for an organ, according to the Cleveland Clinic. There is a pressing need, and this is a promising lead. In a small Australian study, conservative students reported higher levels of disgust, and more concern about "bodily integrity," than their left-leaning counterparts. Researchers report effects of the “trust hormone” get negated when a partner is perceived as dishonest. What prompts people to share information? New research suggests catalysts can include anxiety, amusement — or even a brisk walk.